It's like Christmas in July! 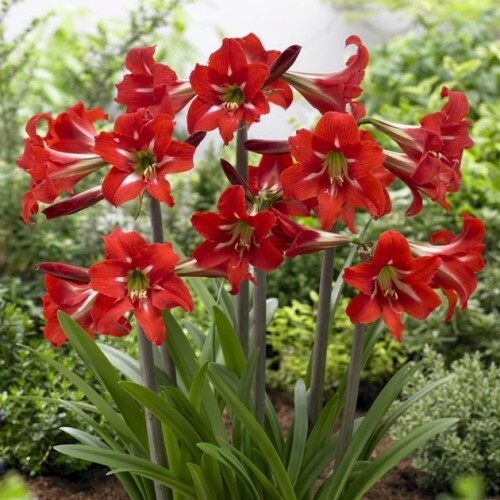 'Balentino' blooms mid summer with the most vibrantly red flowers. They're a real treat to grow outdoors. You can now enjoy Amaryllis outdoors during the summer thanks to these hardy Hippeastrums which produce at least two stems full of vibrant flowers. Give it a sunny location with good drainage and consider applying a good layer of mulch in the fall for extra winter protection.